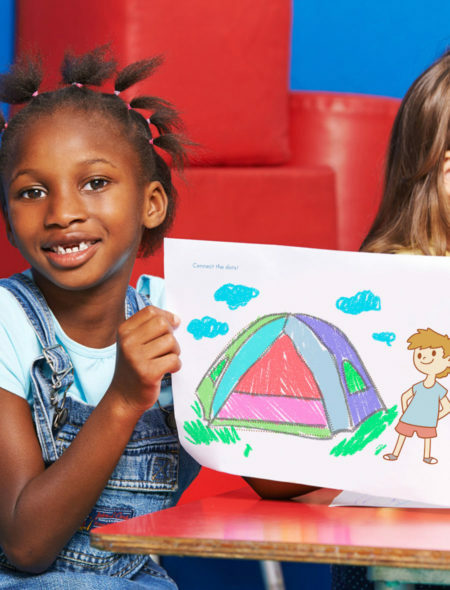 You don’t want to miss this fun-filled activity book! 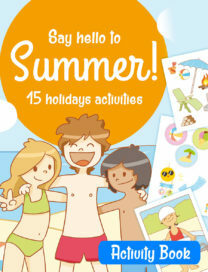 Your kids and you are going to spend some quality Summer time together with many different Summer themed activities. 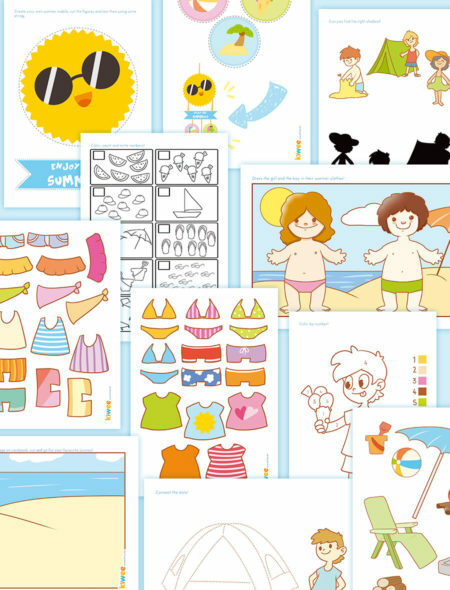 Make a mobile, color and count, dress up the paper dolls using summer clothes – we made some in color and some b/w ones so you can create as many different pieces of clothing as you wish. 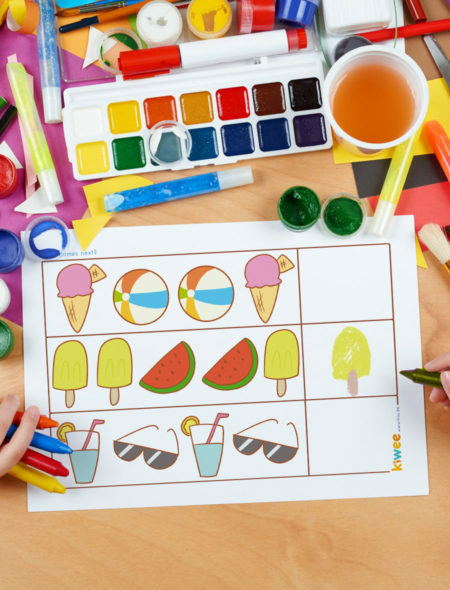 Find the right shadow, complete with playdough, create a decoration and much more! 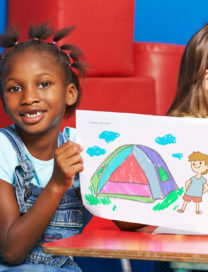 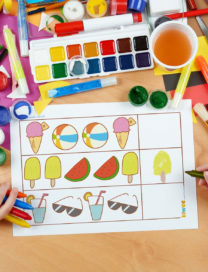 You and your children will love this activity book, say goodbye to boredom and let the fun begin, you’re just a click away; you will be able to download the file after completing your purchase, then your just need a printer and – if you wish – a laminator to make the dominos cards, the mobile and the plaudough figures more durable.